A: We are a team of professional buyers. We purchase your property outright. There are no agents, no assignments and no waiting around for a buyer to come along. We are the buyer and we are ready to purchase your house now! Q: How do you create your offers? A: We will research your property along with recent sales in the area. We will factor in repair costs as well as the rate of currently available rentals in your area. Using this information, we create a customized and fair offer for your Florida house. Q: What do I have to do to prepare my house? A: Nothing. We don’t want you to spend a minute of your time cleaning or fixing up the house. You don’t have to spend a dime when you sell your property to us. We buy as-is and we will handle all the repairs and cleaning that is needed to restore the home. Q: Where are you currently buying? A: We are buying in and around all major Florida cities. This includes Fort Lauderdale, Miami, Orlando, Tampa, West Palm Beach, Jacksonville, Sarasota, Port St. Lucie, Daytona Beach, Lakeland, Kissimmee, St. Petersburg and more. While we primarily purchase in metropolitan areas, we are interested in all houses throughout Florida! Q: Are there any costs to work with you? A: There are never any costs or fees with a direct sale to Your Trusted Home Buyer. You don’t have to worry about commissions, agent fees, marketing costs, cleaning and landscaping expenses, repairs or any other cost you would face if you chose to list with an agent. We believe you should be able to sell your house without having to pay a dime… so we even pick up the closing costs! Q: How are you able to close so quickly? A: We use funds that are available now. We are not subject to a lenders approval, so there is no hassle or red-tape from the banks. We pay you in cash, directly, so it only takes a couple days to have all of the paperwork processed. Q: How are you different from other homebuyers? A: Our goal isn’t to find the lowest priced homes, our goal is to help homeowners who are stuck in a bad situation with a bad property. We offer solutions to people who need to sell their houses right away while still receiving a fair and honest price. Unlike many other homebuyers out there, we are locals. We have been raising families here for over 20 years. We want to help homeowners, revitalize communities and provide affordable housing to first time homebuyers or renters. Q: How is working with you better than working with an agent? A: We can offer a guaranteed sale price and close date from day 1. We do not charge a thing and there is no waiting around in limbo, not knowing what will happen next. We are straightforward, fair and have a sincere desire to help you with whatever situation you might be facing. 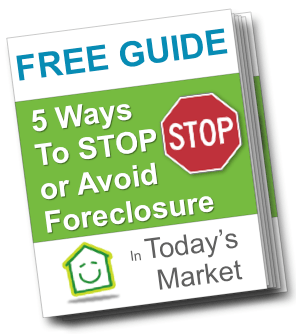 You shouldn’t feel stuck with an unwanted property. A: There is ZERO obligation or hassle when you call or send up your information. We know you have options, and we would like to share them with you. You don’t have to settle for a listing when that might not make the most sense for you. Learn about your options, run the numbers for yourself and make a smart and informed decision before you commit to a Florida real estate agent. We will NEVER put any pressure on you to sell. Q: What do you do with the house after buying it? A: We clean, repair and restore the house to its original glory. We take care of everything, making it a wonderful new house for someone to move into. One of our main focuses is to help restore and revitalize communities, and we are doing that one house at a time! Q: Why do you want my run-down house? A: We love real estate plain and simple. We love being able to create solutions for people who are looking to sell their Florida homes. We love fixer-upper properties and love the feeling of making a house what it once was. Are You Interested In Learning More About How We Can Help?